30 March – 1 April: Celebrate local music, visit a farmers’ market, and catch a Tony award-winning production! 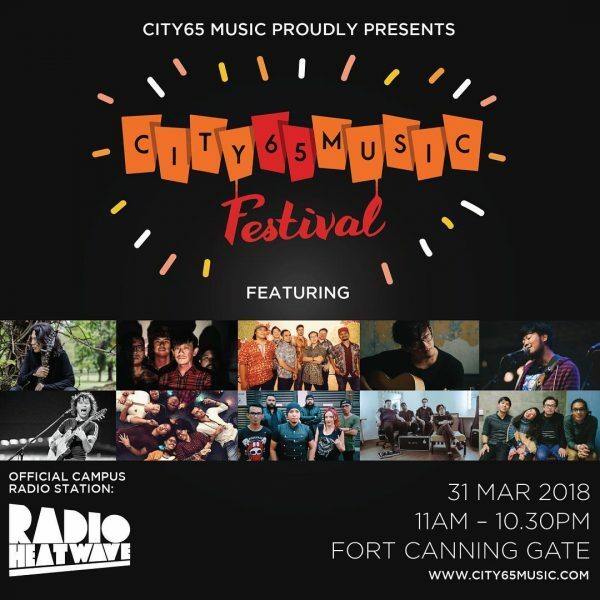 This Saturday 31 March, rock out at CITY65 Music Festival happening at the festival grounds of Fort Canning Park with a two-stage lineup to celebrate homegrown talent in all its trailblazing, genre-splitting glory. 10 incredible local Singaporean artists are set to perform, headlined by Addy Cradle and JAWN, with a special performance from The Steve McQueens fresh off their Japan tour. If you’re feeling generous with your talent, there’s also going to be an open mic area for any aspiring musicians to perform in front of a live festival audience!